The 405's Ashley Stanford is making her way out to SXSW next week, so she decided to share her itinerary with us. You might want to bookmark this page. 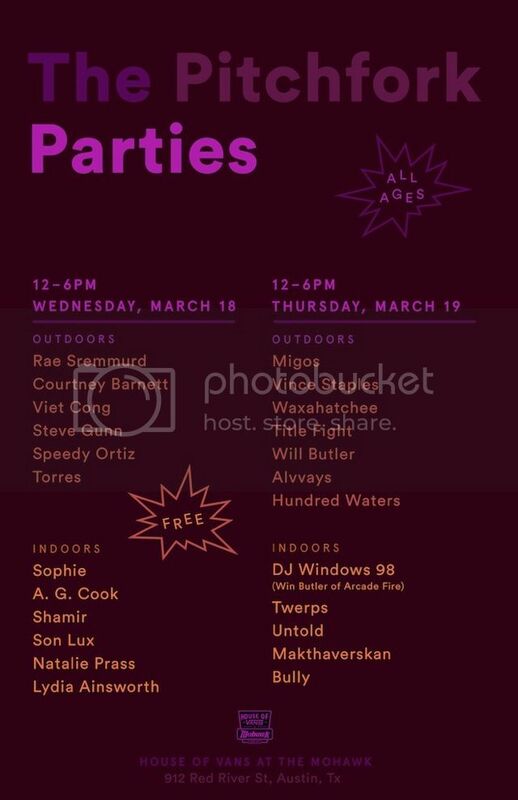 Panache Booking has definitely put together one of the best lineups to hit this year's SXSW. 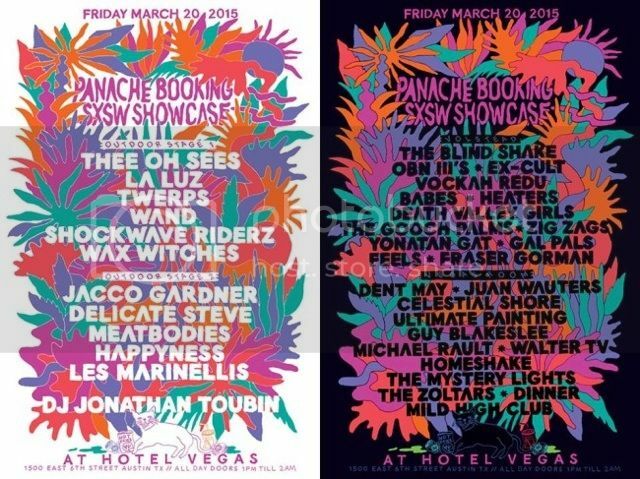 All day Friday Panache Booking will take over Hotel Vegas and Volstead to showcase stellar acts from Thee Oh Sees, Twerps, Wax Witches, Dent May, Walter TV, Homeshake, and so much more. Seriously, the lineup speaks for itself, so don't miss this event. The event will be free before 7pm and open to badges and wristbands or a small cover after 7pm. One of the best, if not The Best, venues in Austin will be hosting the Pitchfork day parties. All ages will be able to check out the awesome sounds of Speedy Ortiz, Sophie, Waxahatchee, Twerps, Courtney Barnett, Win Butler as Win Butler and Win Butler as DJ Windows 98. 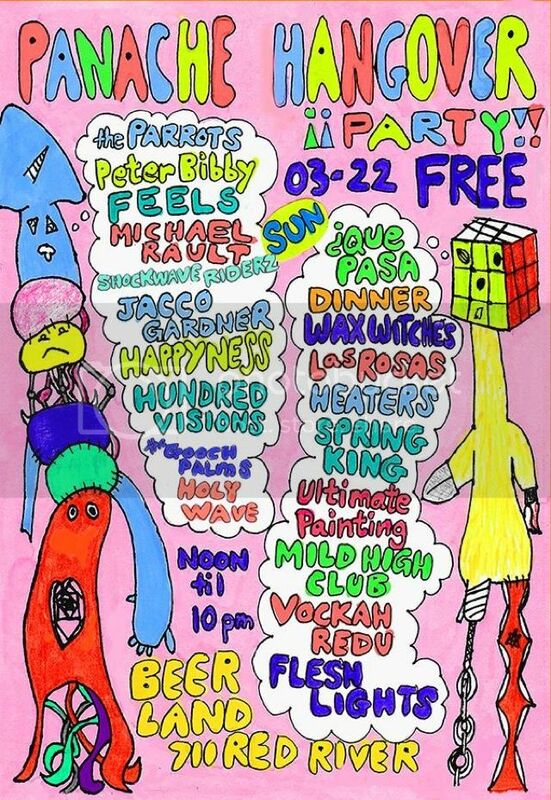 A free day party to celebrate the 10th birthday of Fun Fun Fun Fest, why wouldn't we be excited? This is going to be the best party a ten-year-old has ever put on. 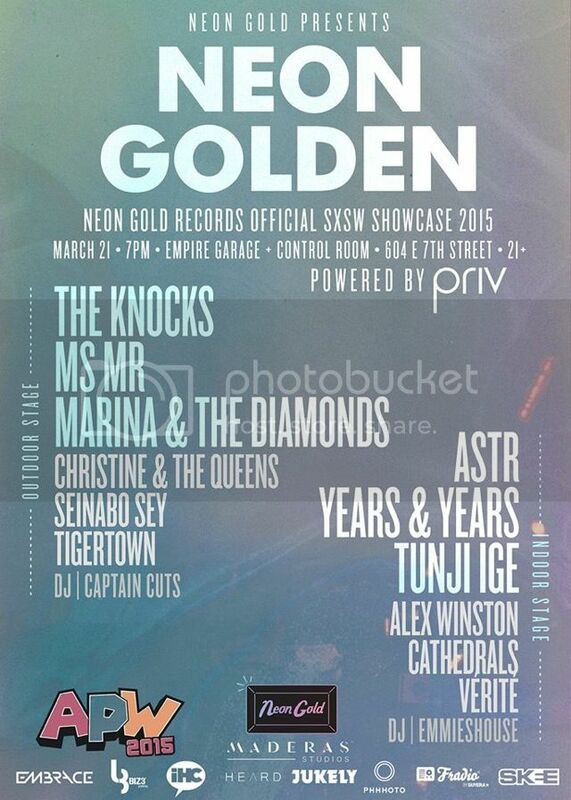 Saturday night Neon Gold Records will put on one of its biggest SXSW shows to date by taking over both stages at Empire Control Room and bringing us MS MR, The Knocks, Years and Years, Marina & the Diamonds, and ASTR. This one will fill up quickly so make sure to get there early. 5. FeelTrip Showcase--Friday March 20th @ ??? If you're interested in avoiding the overcrowded SXSW streets downtown and are looking for something off the beaten (and hella sponsored) path, the showcase put on by FeelTrip Records will be a great option for you. The location is ~undisclosed~ as of now, but will be somewhere off I35 and Slaughter Lane, a 10 minute drive from downtown. 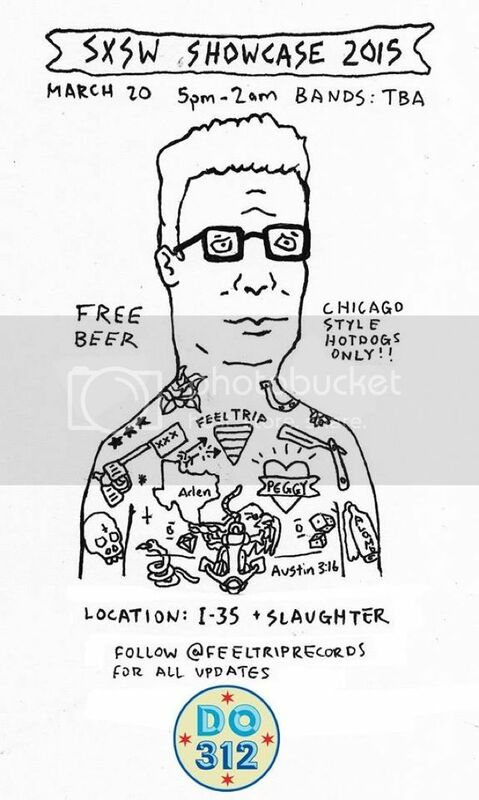 There will be free Chicago style hot dogs (yas), free beer (yaaaas), and free performances by Twin Peaks, Meat bodies, Tweens, and White Mystery. Check out the event page on March 18th for the location and for Lyft promo codes. 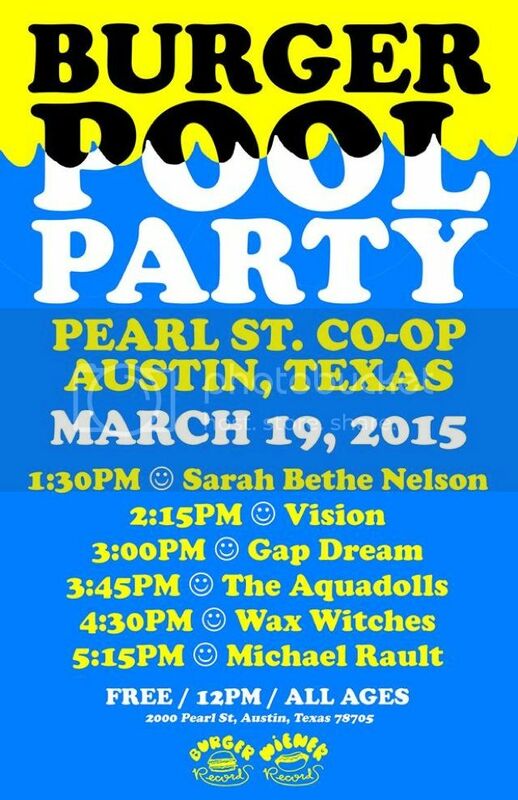 Burger Records is putting on heaps of SXSW parties this year, and one worth checking out is the Pool Party that's going down Thursday, March 19th. This party is for chillers only and those down to clown and spend the day by the pool rocking out at Pearl Street Co-op near the University of Texas. This will be a real college 'spraaang break' kind of deal. 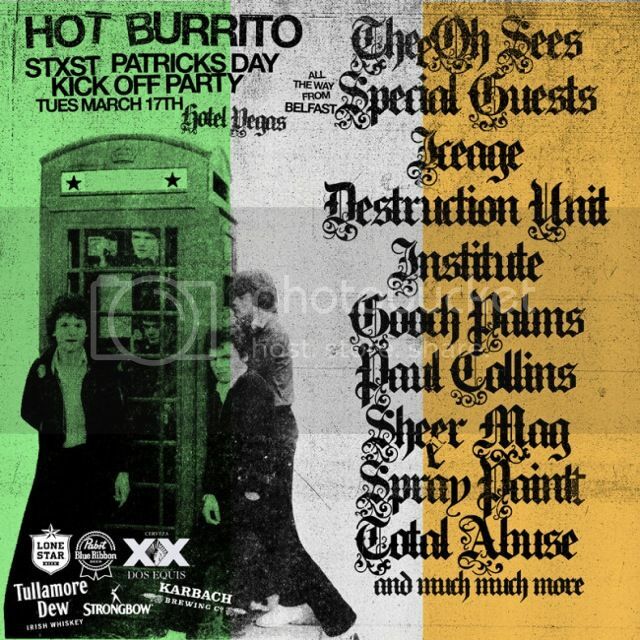 Start your epic week off right with a St Patrick's party SXSW-style with Thee Oh Sees, Paul Collins, Iceage, Gooch Palms, and Institute. The event claims to be the "BEST PARTY TO EVER HAPPEN ON A TUESDAY IN THE HISTORY OF MANKIND!!!!!!" and we are more than ready to hold them to it. 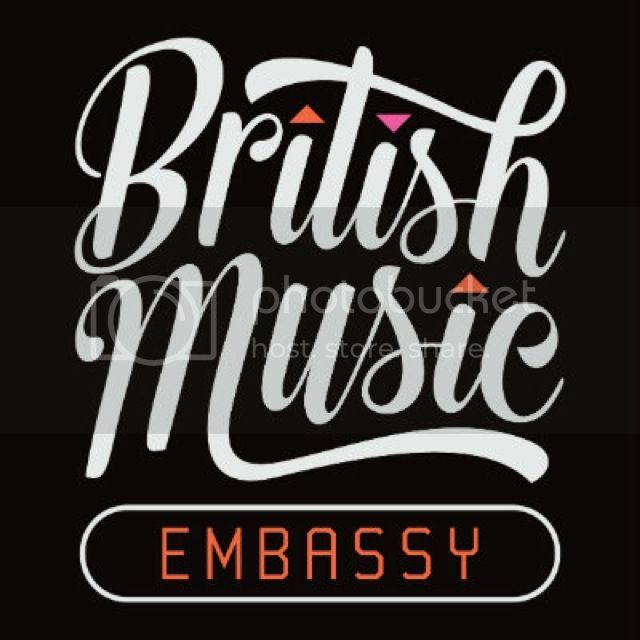 The British Music Embassy, which takes over Latitude 30 each SXSW, will be the place to catch all the top talent the UK has to offer SXSW curated by top British tastemakers such as Huw Stephens, BBC Introducing, and NME. Bands making the stop to the embassy include East India Youth, Spring King, Carl Barat and the Jackals, Ultimate Painting, Happyness, and Girl Band. Take note that the venue is small and will fill up quickly. Secret Songs is Ryan Hemsworth's latest project which offers a free track by an up-and-coming producer every two weeks. The project is a way to share music Hemsworth believes in to people eager to discover. Hemsworth is bringing this love for music and love for making friends to SXSW through a free day party at The Main (FKA Emo's). 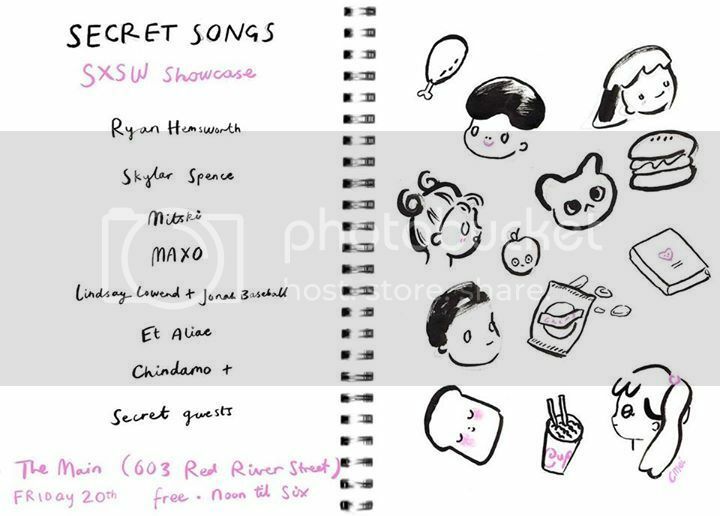 The day will feature artists/friends such as Skylar Spence, Mitski, Ryan Hemsworth himself, and in proper SXSW fashion *Secret Guests*. Free, 21+, 12--6pm. To cure your hangover, or to just prolong its inevitability, and continue rocking out with SXSW bands, check out the Panache Hangover Party at Beerland on Sunday March 22nd. Who cares if you have work the next morning? Spring King, Fleshlights, Gooch Palms, Hundred Visions, and MORE will be there ready to make sure SXSW feels like it's never going to end.